American biochemist and geneticist John Craig Venter, who is widely known as the first person to sequence the human genome (the process that led to decoding the human genome), was once a C and D grader in school and terribly away from studies. His interest in medicine arrived from his life situations. He was against the Vietnam War but he was enlisted in the United States Navy to work in the intensive-care ward of a field hospital. Frustrated, he once attempted suicide by swimming out to sea, but he couldn’t when the images of the pathetic condition of injured and dying marines knocked his head. The desire to do something for them inspired him to study medicine and he went to a community college ‘College of San Mateo’ in California. Though, later, he transferred to the University of California, San Diego and switched to biomedical research. He completed his BS in 1972 in biochemistry then a PhD in physiology and pharmacology in 1975 from same University. On completion of his studies he worked as an associate professor at the State University of New York at Buffalo, where he later became full time professor. In 1984, he joined the National Institutes of Health. He is the founder of The Institute for Genomic Research ‘Celera Genomics’, and the J. Craig Venter Institute where he is working to create synthetic biological organisms. 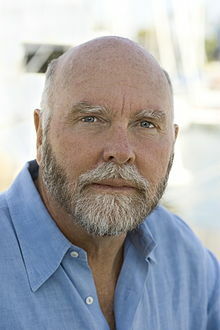 John Craig Venter was on Time magazine’s 100 list of the most influential people in the world for 2007 and 2008. The British magazine New Statesman enlisted him as the 14th “The World’s 50 Most Influential Figures. Life itself is an opportunity to make it meaningful and significant; some become explorer and dive deep to take out the treasure while the others just sit, watch, and applaud for them. 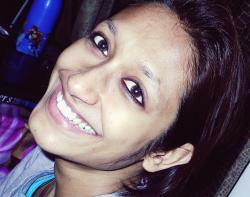 It doesn’t matter if you’ve been a C or D grader throughout your school/college life. At any point in time, you can evolve as ‘the greatest’ provided you feel determined for something worthy and work diligently. Never give up on life. If at any point in life you feel losing the battle, think about the people like John Craig Venter and many others; read their stories, recharge your soul and continue the journey. It’s you who can help yourself to emerge a winner!